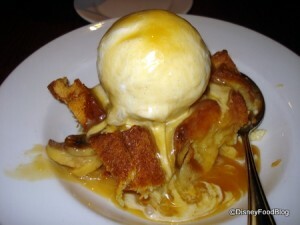 Now that you’ve booked your 2012 Disney World vacation, it’s time to make your Advance Dining Reservations. Which restaurants are credit-worthy? The vacation package add-on called the Disney Dining Plan is a meal plan with a set price in exchange for a certain number of credits. 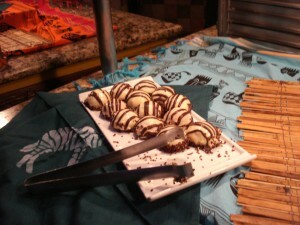 Many table-service meals in Disney World cost one credit, but are you getting the best value? Stick to the one-credit restaurants, order the most expensive meal on the menu, and maximize your savings! 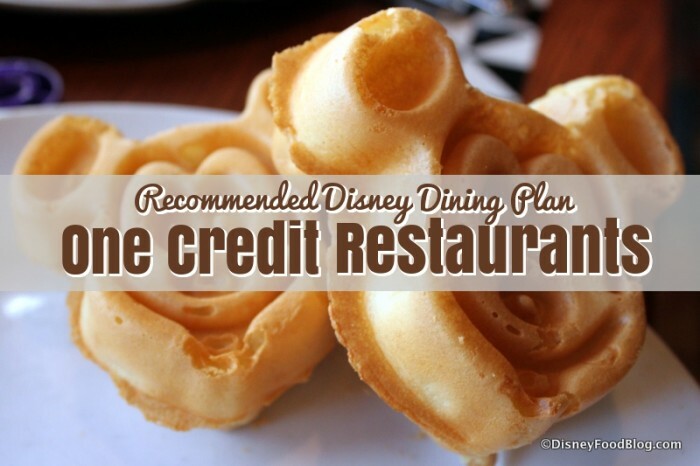 Let’s get to my top picks for best value at “one table-service credit” Walt Disney World restaurants. I think some of them will surprise you! When we looked at values, our main criteria was price. These restaurants offer a great bang for your buck when paying with the Disney Dining Plan. We also looked at enjoyment level and food quality, but these criteria were secondary and tertiary to cost. Note that these aren’t necessarily our favorite restaurants, but they are good values for one Disney Dining Plan credit. Tucked into the Italian pavilion at Epcot, Tutto Italia Ristorante boasts regional cuisines from Italy in an Old World setting. Table service is attentive, although the fine-dining atmosphere can lead to longer waits. This restaurant serves up a Roasted Rack and Leg of Lamb ($34) as an entree. End your meal with Copetta Sotto Boscue, a dessert specialty comprised of berries, zabaglione cream, gelato, and chocolate sauce, which has an out-of-pocket price of $14. When both of these items are ordered, Tutto Italia becomes quite possibly your best one-credit table-service value in Walt Disney World. 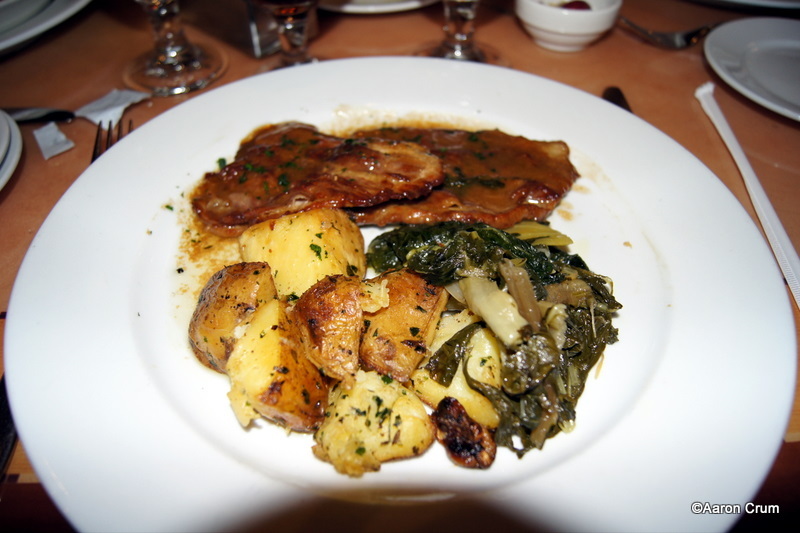 There’s also a Veal Roast which would run you $31 out-of-pocket but… perfectly worth one dining credit! You heard about our Five Best “One-Credit” Table-Service Values last week, so I wanted to share what I believe to be the five best quick-service values today! 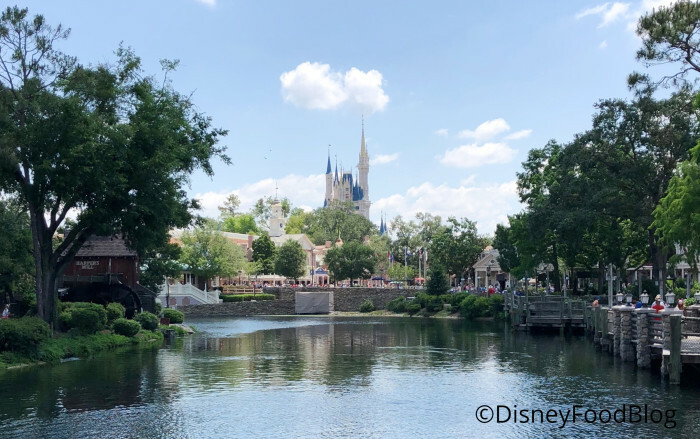 These are my picks based on what you get for one quick-service credit on the Disney Dining Plan; they may not stand up as the best when we consider paying out of pocket. Hopefully this will be useful to those of you heading down to the World for free dining this fall! OK, you’ve booked this Fall’s free dining package, and now you’re not so sure which table-service spots deserve the credit (pun intended!)? Below are my top picks for best value in the “one table-service credit” realm of Walt Disney World restaurants. 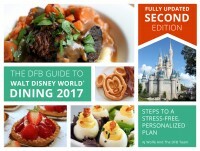 And for more tips on where to apply those credits, check out the DFB Guide to Walt Disney World Dining 2017 Second Edition! 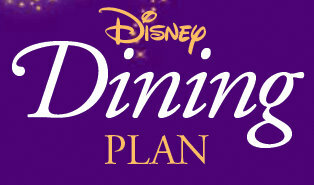 For those who have no idea what I’m talking about, Disney World offers a vacation package add-on called the Disney Dining Plan. This works a lot like your meal plan when you were back in school — you pay a set price in exchange for a certain number of credits. Each table-service restaurant meal in Disney World is worth a certain number of credits, the vast majority of them being worth one credit. 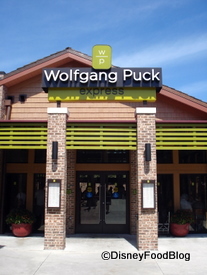 In this post, I’m describing my picks for one-credit table-service restaurants that offer the most bang for the Dining Plan buck. Yep, one of the most popular character meals on property is also a great value with the Dining Plan. 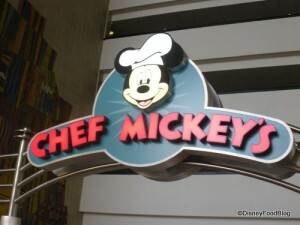 Chef Mickey’s, which offers your kiddos the opportunity to meet the entire fab five — Mickey, Donald, Goofy, Pluto, and Minnie (and sometimes Daisy!) — ranks at the top of the heap when it comes to character meal buffet pricing. Not to mention, the location is ideal: you’re just a monorail ride away from the Magic Kingdom. By the way, both breakfast and dinner are overpriced here, so feel free to use your dining credit for either! This is one of Walt Disney World’s most popular restaurants — hands down — and its family style, Hawaiian-themed meals are only part of the reason. ‘Ohana also offers an incredible view of the Magic Kingdom Fireworks from its perch atop the Great Ceremonial House at the Polynesian Village Resort. Breakfast at ‘Ohana features Mickey, Lilo, Stitch, and their friends in an all-you-care-to-enjoy Hawaiian masterpiece of a meal (including mini Mickey Waffles!). Dinner has no characters but does hold the hope for many guests for the chance to see those fireworks while digging into some incredible ‘Ohana Bread Pudding. Price-wise, ‘Ohana is a bit more expensive than even Chef Mickey’s; coming in around $30 per adult, this is a great trade-in for a table-service credit. Another incredible buffet makes its way into our top five values list! Boma is located on the bottom floor of Disney’s Animal Kingdom Lodge, Jambo House, and serves up African-themed cuisine straight from an African “marketplace”-inspired restaurant. While this place is pretty pricey for a buffet, it also offers the valuable asset of being located in one of Disney World’s most unique resort hotels — and you and your kids can benefit from that! By arriving a bit early for your meal, while there’s still daylight left, you’ll be able to head outside and gaze — up close — at the majestic animals of the savannas. Giraffe, zebra, Ankole cattle, flamingos, and more will be right there in front of you! And if you have questions, the Lodge has provided knowledgeable “interpreters,” who can help you to better understand not only the animals, but also the countries they’re from. After dinner, head out to the African fire pit around 7:30pm for some authentic African storytelling as the sun goes down. Then, if you still haven’t had your fill, take part in the resort’s “night-vision goggle” experience, where you can watch the savanna animals up close to find out what they do once night falls! Sounds like a pretty full evening to me — and all for the cost of one table-service credit. Surprised by this one? Me, too. 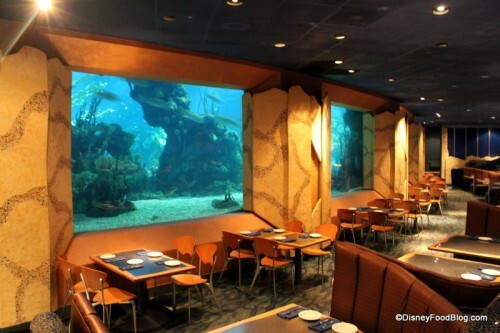 But the bottom line is that Coral Reef Restaurant 1.) is expensive, and 2.) has a giant aquarium for a wall. Let’s face it, kids love watching the fish (and sometimes dolphins!) swim around in that floor-to-ceiling aquarium. And while this restaurant might not be worth the money to pay out of pocket, it is worth your one dining plan credit — if only to watch them freak out about how cool it is to eat at a restaurant inside an aquarium. The food at Coral Reef hasn’t always knocked our socks off, but the menu has improved over the years so that it’s an enjoyable meal. The “chocolate wave” dessert remains a specialty. Price-wise, dinner entrees run between $20-$30, and desserts all cost $8 apiece, so you’re likely going to save some money by using the dining plan here. With mini-reviews of every single restaurant, bar, lounge, kiosk and more; an entire chapter on the best snacks in Disney World; full Disney Dining Plan analysis (and how to get FREE dining); and a full chapter on discounts and deals; you’ll have everything you need to plan your best vacation yet. Click here to get your copy of the 2017 DFB Guide to Walt Disney World Dining, Second Edition E-book — and use code SAVE2017 for a 20% discount for a limited time! Would love to hear your thoughts on the best value for a one-credit table-service meal. Have you stumbled across any deals lately? Let us know in the comments section below! 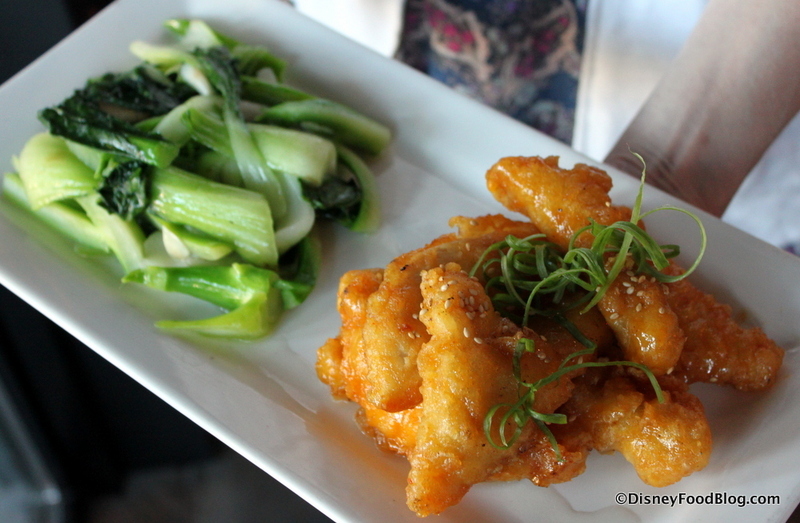 For more of our favorites, check out our Best Disney World Restaurants series!